Similar to the hiragana chart, the katakana chart below shows the 46 basic characters together with their romaji. The pronunciation of each katakana character is exactly the same as the equivalent hiragana character. 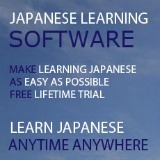 However, katakana have more additional readings because they are used to read foreign words. 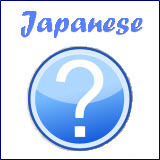 It's likely that you may get confused with the hiragana characters when learning the katakana characters. Don't worry, take your time to memorize the 46 basic characters and then continue with the 拗音 (youon). 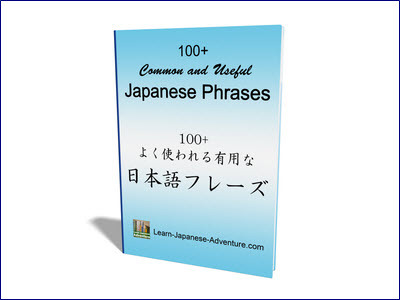 To know what is the correct pronunciation of each katakana character, go to this "Learn how to speak Japanese with katakana audios" page. Similarly, the additional katakana chart below shows those with 濁音 (dakuon) and 半濁音 (handakuon). Adding smaller version of ya, yu or yo (ャ, ュ, or ョ) to katakana ending in vowel i form the additional katakana chart below. Below shows the additional katakana chart of 拗音 (youon) with 濁点 (dakuten) and 半濁点 (handakuten). Similar to hiragana, when a small tsu (ッ) called 促音 (sokuon) is added, it means the following consonant is geminated or doubled. In romaji, this is represented by doubling the consonant that follows the small tsu. For example, pet is represented in katakana as ペット (petto). The pronunciation is the same as in hiragana, after the first consonant is pronounced, pause for the amount time to pronounce the consonant, then continue to pronounce the following consonant. For long vowels, instead of adding a second vowel as in hiragana, katakana usually uses a short line (ー) to represent the second vowel. See some examples below.. Note that long vowels in romaji is represented by a horizontal bar on top of the first vowel, just like "ō" in rōmaji. However, it is usually omitted nowadays. For example, the correct way for Japan capital in romaji is Tōkyō, but we always write it as Tokyo. The city Kyōto is also written as Kyoto. I will not add the horizontal bar on top of the first vowel unless necessary.